Are you an Apple iPhone user and intend to switch it to Android? If you are thinking to do so, then you would certainly require some idea on how to transfer your phone content from one platform to another, i.e., from iPhone to Android. Earlier, it was a frenetic process to transfer data from iPhone to Android that is quite arduous and time-consuming. Don’t worry, there is an easy process to transfer your data including contacts, music, photos, videos, text messages and other apps from your iPhone to Android phone. You no more have to use same old strenuous methods to transfer your iPhone’s data as Android has come up with pretty news apps that assist you in transferring your photos, calendar, contacts, text messages, photos, videos and everything else from your iPhone to Android smartphone. Getting photos and videos from your iPhone to your Android is pretty easy. If you are really planning to switch from iPhone to Android then you have landed at the right place. Here is a complete tutorial that guides you in transferring your phone data from iPhone to Android. Transferring data from iPhone to Android is very easy to transfer less amount of data. If, in case you have massive data to be transferred, you’ll come across some impediments. The simplest way to transfer all your content is to have a backup on a computer and then transfer them to your Android device via USB cable. Generally, things like documents and other data that come in the iPhone are not compatible with the Android smartphone. As we all know, iPhone and Android are two different platforms and so that, iOS apps will not get transferred to your new device. Here is the simple process to transfer all the content on your Apple iPhone including contacts, calendar, Apple services to Google services, photos, videos, messages, music and all other important content that you wish to transfer. The first and foremost step is to back up your iPhone and create a new Google account. This will not only help you to transfer data from iPhone to Android smartphone but also lets you download apps directly from your Android smartphone. Having a backup of your Apple device is necessary as well as very beneficial. It stores all downloads, contact information, photos, messages, call log and many more. It is always suggested to make a backup of your data on the Cloud or a PC. Later, you can use them while transferring the data to a new Android device or to the same device after a restore. Check out the step-by-step process! Firstly, install Apple iTunes onto your PC. Open Apple iTunes software on your PC or laptop, and sign in with your Apple ID. Now, Switch on your iPhone device and connect to your PC running iTunes using the relevant Apple Cord. Once after locating your device icon in iTunes on the left menu, simply click it. To toggle the sidebar, PC Users need to Press (CTRL + S) while the Mac Users need to press (CTRL + RIGHT CLICK). You will then get a pop-up window asking for Restore iPhone and Check for Update. Select Check for Update option. It will then display a new backup window with two options where you need to choose the process in which your data will get back up. Backup to iCloud. You are only permitted to back up 5 GB’s worth of data for free. If the data is more than that, it will charge you for increasing your storage size. Simply hit the Back Up Now button which starts the backup process. You will be able to view the progress of the operation on the top of iTunes. Just wait a few minutes for it to be ready. Once the backup process is completed, you can verify it in the menu bar. Go to iTunes>>Preferences>>Device name (Next to the name of the device, you can view the time the backup was created). That’s it. Your iPhone data is backed up successfully. Probably, the most crucial part of switching from iPhone to Android is transferring contacts. This process could be even more straightforward if you have a Google account. If you don’t have, then sign up as soon as possible as you need to have a Google Account for transferring contacts from your iPhone to Android. Here are the simple steps that help you in transferring contacts from your iPhone to Android. Initially, Plug in your iPhone to your PC or laptop. Open up iTunes on your PC. Your iPhone should appear on the top right-hand corner. Simply click it and select the Info tab from the iPhone Summary screen. If you are currently syncing your contacts over iCloud, you need to go to settings on your iPhone and select ‘iCloud’. Move the Contacts slider from On to Off. Then go back to iTunes and click ‘Sync contact’. Choose Google from the Drop Down list. Now, you need to sign into your Google account. Once you sign into Google account, your contacts are uploaded to Google. When you set up your Android phone for the first time by signing into Google it gives you the same contacts as you had on your iPhone. That’s it. There are several ways to transfer content from iPhone to Android but, here we are providing you with the simplest process to do so. Here are the simple steps to transfer photos and videos from your iPhone to an Android device. Initially, plug-in your iPhone into Windows PC or Laptop via a USB cable and then Import images and videos to your Android device. If you have connected your iPhone with Mac then you will get a pop-up window where you could choose files, drag and drop to your Android device. Once you transfer photos and videos onto your Android device, photos can be viewed in a similar way as on your iPhone. While the videos transferred from iPhone that you’ve ripped from DVDs or captured yourself will be played. But, you need to install a third-party media player app. You can repeat the same process using cloud services, but first, you need to install Google Drive, Dropbox, Microsoft OneDrive on your iPhone and then upload files. Then, you need to install the same app on your Android device. Follow similar steps for transferring the data. Firstly, make sure the music on your iPhone is backed up to your PC or laptop as shown before. One of the best things about the Android device is that your phone appears on your PC like a storage device or memory stick. Here are the simple steps to transfer music from your iPhone to an Android device. Firstly, sign into Google Music to transfer your files. If you don’t have music on your PC, then sign up for Google Music. Once your music is on your PC, you can simply attach your Android device via USB cable. iTunes is already installed and then Download Music Manager. Choose iTunes options. It then asks you to store your music. Now, drag and drop music files and playlists onto your Android device. This is the same process even for ripped CDs and music purchased from some other myriad stores. You will not be able to copy movies, e-books purchased via iTunes from iTunes to Android as it is only provided by DRM protection so, first you need to remove DRM protection. If you want to transfer your text messages on your Apple iPhone to your new Android smartphone then you can make use of an Android app called iSMS2droid app. Transferring your iPhone text messages to your Android phone is quite complex, still doable. This app is available for free on Google Play Store, but before this, you need to backup your SMS to iTunes. Switching from iPhone to Android means, you need to commence using Google services. Once after signing into your new Google account, it gives you access to all contacts, files, bookmarks and much more on your Android device. There are different services offered by Google that belongs to one Google account which makes it simple and accessible within one move. You have YouTube for watching and sharing videos, Google Maps for navigation, Google Wallet for wireless payments and also voice assistant. You have successfully transferred all your data including photos, videos, music and text messages from your iPhone to Android. The time taken for the transfer process depends upon the data that you are transferring. It is a fast transfer process almost compared to other methods. Transferring your data from iPhone to Android is a secure way and all your personal information will not get exposed. Hope this tutorial helps you in the best way to transfer data from your iPhone to Android device. An Android smartphone user will be definitely aware of the Google Play Store where you can download and install various Android apps onto your device. These days, Android-powered Smartphones are in the majority and currently, it is the most dominating platform in the digital market. If you’re an Android user, you’ll definitely visit the Google Play Store some or the other time for downloading your favourite apps. It is the only platform where you can find all the Android apps and games. When you look at your phone, you apparently think of spending money rather than earning it. You must feel thankful that there are plenty of apps to be found in the Google Play Store which can help you recover some of the costs. Whether the app you wish to download is a free or a paid one, you can download them from the Play Store just with a single click. It is pretty much simple to install the free apps on your Android device but the paid ones need some money or Play Store Credit. This is the process to make money with Android apps and earn free Often google play credit. Though you can easily download paid apps for free using lucky patcher latest version, we will discuss it in any other post. 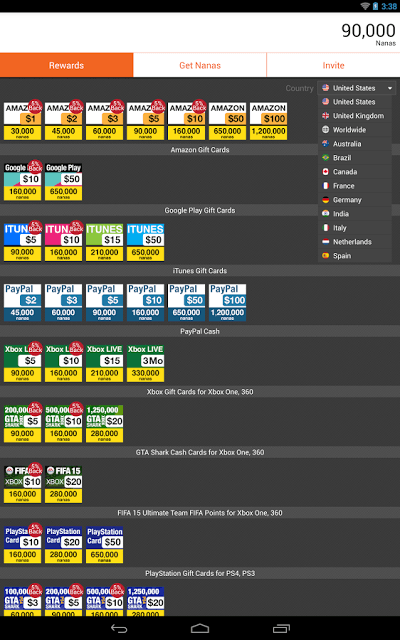 Here is a detailed guide on how to earn free Google Play Credit in 7 simple ways. Take a look! 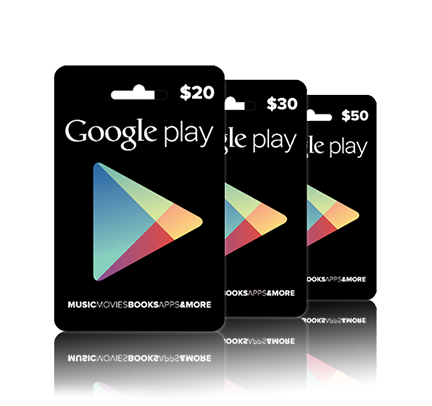 Google Play credit is the money added from a credit/debit card or Google Play gift cards. Gift cards can be quickly retrieved from the web or from your Android device and the great thing about these Google Play Credits is they never expire. First and foremost, Google is an advertisement company which is equipped towards targeting the right people with clean advertisements. In this thread, they’ve released an app that will actually give you real money to spend in the Google Play Store if you just let them know your viewpoint on a topic. It’s not exactly what you would term big money, but it’s, at least, sufficient to purchase an app or two every month. The gift card can be purchased with promo codes which can be further used for purchasing the paid Android apps and games. Click on the Settings icon and go to My Account. Click on Add credit/debit card or Redeem. If you wish to purchase google play credits using your credit/debit card then enter your card details and just save it. If you want to Redeem the cash then enter gift card or promo code. Click on the app/game that you want to purchase. Click on the ‘Buy’ link on the webpage. Choose the payment option or use the redeemed amount. You can also add your card details in this section. You can then follow the page instructions. Click on Settings >> My Account. This way you can review your balance under Payment Method. Having Google Play Store added in your account protects you from the regular annoyance of adding balance through your cards. It provides quick access to download an app and makes your payment indeed quicker and faster. If you are a frequent downloader of paid apps then keeping the credit added to your account is quite safe and crucial. 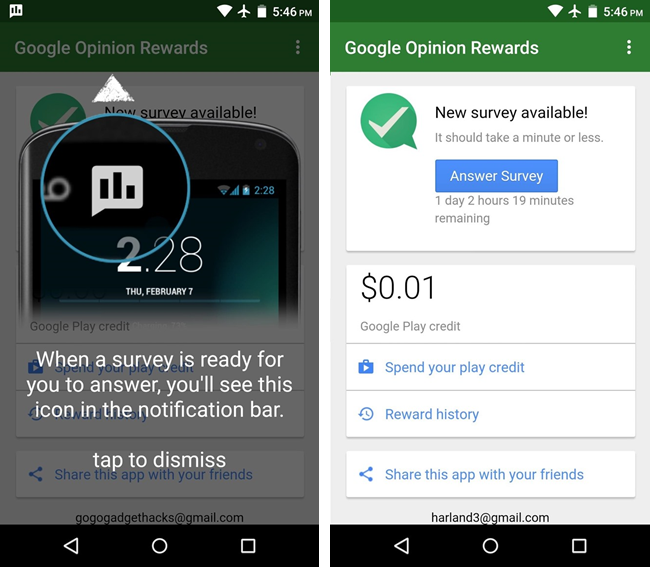 Google Opinion Rewards is an official app developed by Google Consumer Surveys. It is a definite alternative to get Google Play Store credits where you need not exclusively add any money or buy any gift card to add it. 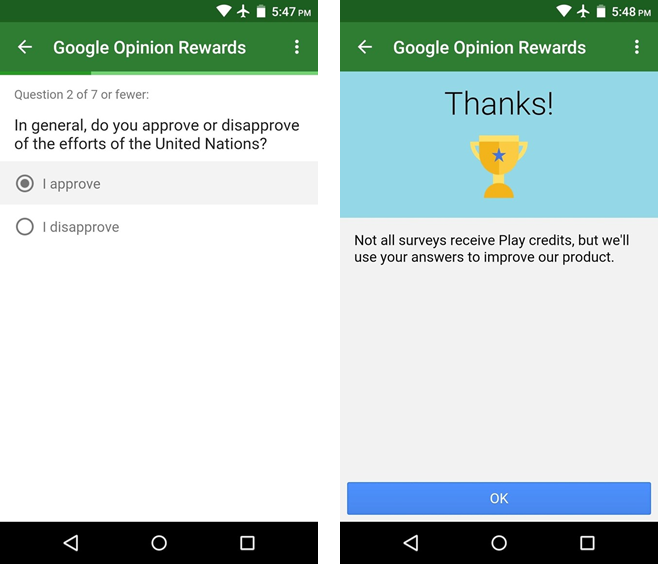 Google Opinion Rewards sends you free surveys once every week where you need to answer them and receive up to $1.00 in Play Store credits. The survey questions will be quite relevant and accessible. 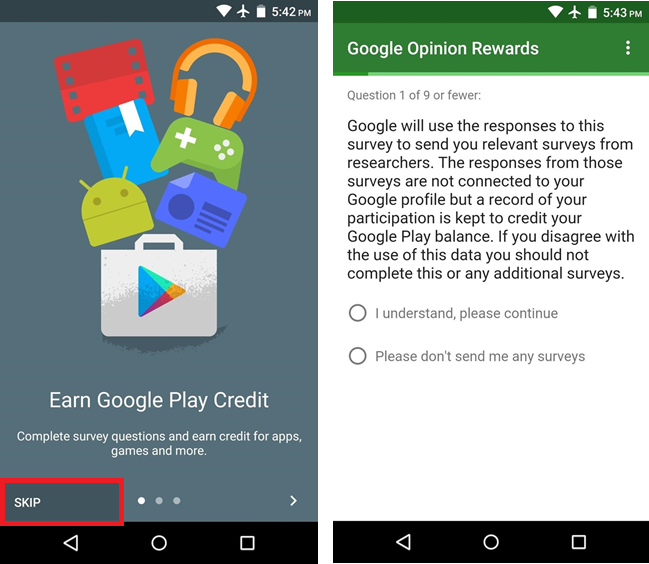 Google Opinion Rewards will send you a notification when a survey is ready for you and the credit will be transferred to your Play Store account upon finishing it. This credit is almost equivalent to free google play money. The app comes free of cost and is compatible with each and every Android phones and tablets. How do Google Opinion Rewards work? 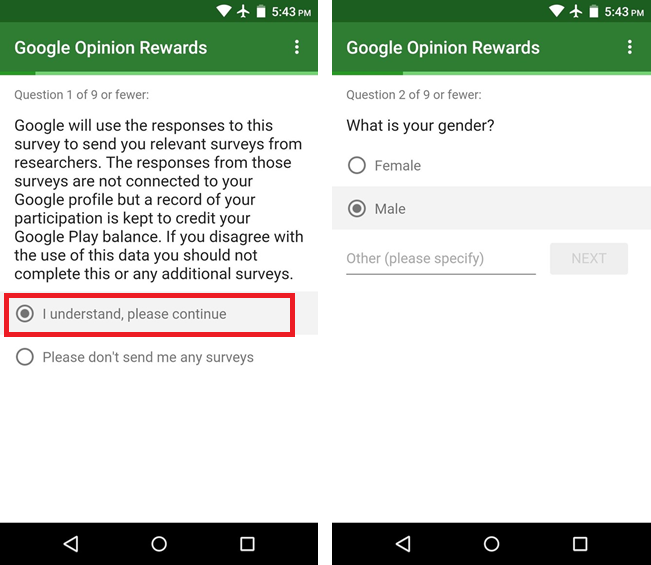 Here is the complete working procedure of the Google Opinion Rewards including the installation, creation of a new account and conducting a survey. Check it out! First of all, head to the Google Play Store, then search for and install Google Opinion Rewards. Upon installing Google Opinion Rewards, you need to launch the app. 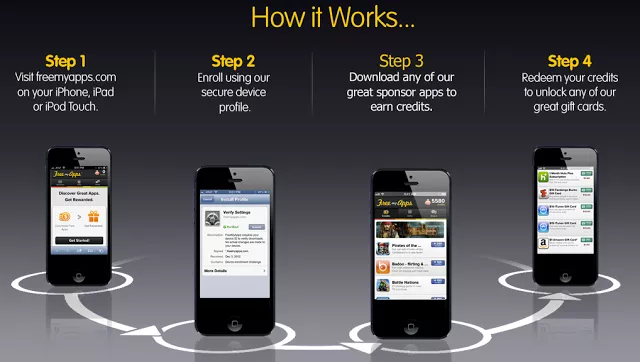 Once you launch the app, you will receive a quick introduction about the app. You can simply flip this introduction part just by tapping on the Skip button. The app will then ask you to provide some information regarding yourself. The purpose behind this is to receive your demographics information which will be related to the surveys which include your age group, postal code, gender, language, etc. Google Opinion Rewards will ask whether you wish to accept occasional surveys so you can pick from the options. Once your profile is created you’ll be head towards the app dashboard where you can view your Google Play credit and reward history. When any survey is available, you’ll be notified about it which you can view in the Google Opinion Rewards dashboard. Once you’re done with creating a profile, you’ll be taken to the app’s main menu. You’ll be greeted by an overlay explaining how you will be notified when a survey is available to you. Tap anywhere on the screen to dismiss this overlay, and you’ll see your Opinion Rewards dashboard. From now, just answer the survey questions as genuinely as possible. If this were a paying survey, your Google Play account would be credited with the payment upon completion of the survey. You can check your available balance from the menu. Use it to purchase goods from the play store. 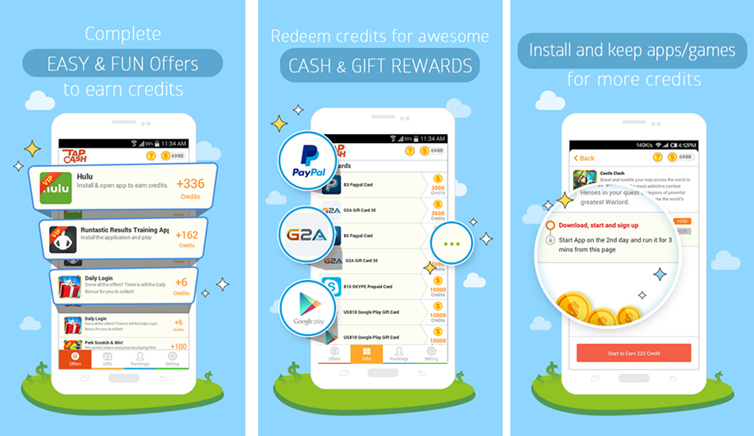 FreeMyApps is another best app which rewards free gift cards not only for Google Play but also for Amazon, Xbox, Spotify, Starbucks, Skype, etc. It is the best app that helps you to earn free Google play credits. This app offers credits just by trying the new free apps and games and allows you to redeem your credits for free gift cards. How to get free google play credit with FreeMyApps? Install FreeMyApps from the Play Store. Download and play free new apps and games. You can earn credits simply by trying these apps and games. Redeem your credits for free gift cards. 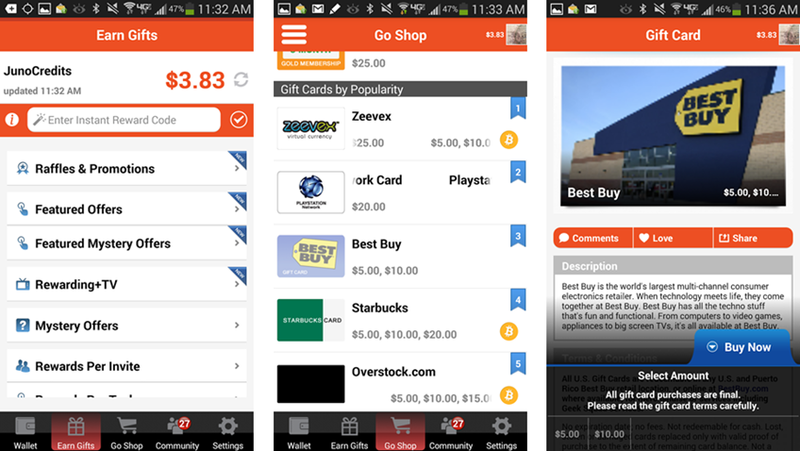 Free Gift Cards is one of the best apps that offers you free credit for Google Play Store, Amazon, iTunes, Xbox, PlayStation, Paypal and much more. This app offers you several deals which you need to complete before earning your rewards. With Free Gift Cards, you can earn points by running apps in the Point offers, watching videos in Point offers, inviting your friends to try Free Gift Cards and logging into the app every day. First of all, install the Free Gift Cards app from the Play Store. Complete offers to earn free play credits. 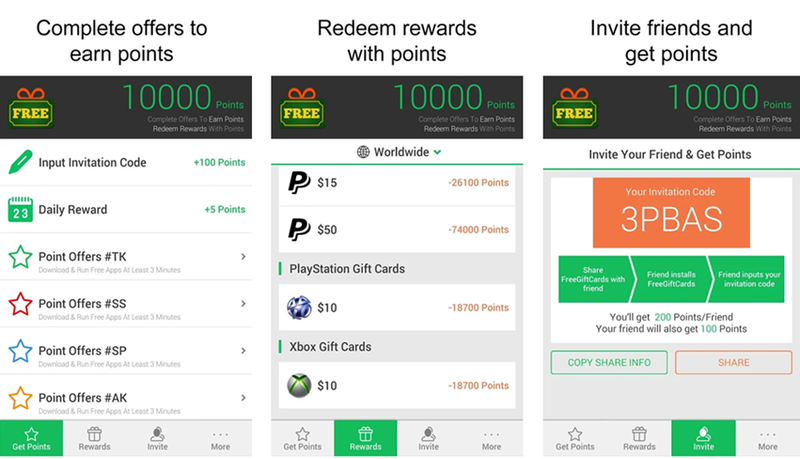 Now, redeem rewards with points. You can then invite friends and earn points. AppNana is one of the most popular rewards apps that offer free credit for the Google Play Store, Amazon, Paypal, Xbox, iTunes, etc. This app allows you to try the app for free and redeem gift cards to use them. The apps should be opened after installation so that you can earn the points. How to earn free google play credits with AppNana? Download free apps to earn rewards. Receive your points and redeem them for gift cards. Receive 400 points daily for logging into the app regularly. JunoWallet is another alternative app that offers you rewards and free gift cards. With JunoWallet you can earn credits by playing games, watching videos, completing surveys, making calls and inviting your friends. JunoWallet also offers gift cards for Amazon, iTunes, Xbox, eBay, and many other stores. How to get free play store credit with JunoWallet? Install JunoWallet from the Play Store. Sign up for the app using either your Facebook account or Email. Download a few apps or complete some surveys to get your free credit. Upon earning some credits, go to the shop and pick your reward. 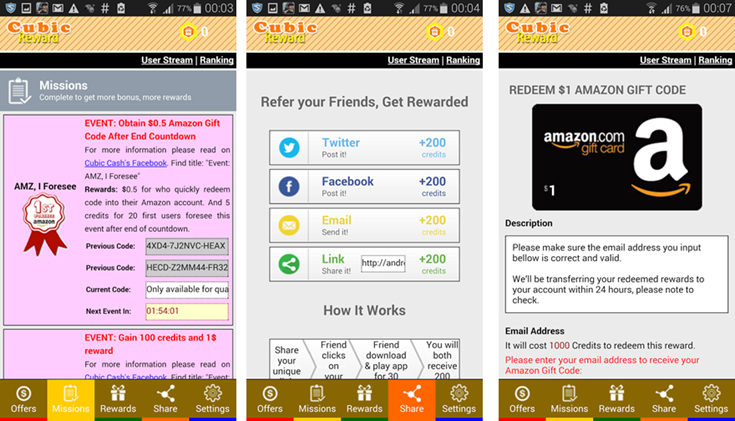 Cubic Reward offers free gift cards by playing the hottest apps and games on your Android device. With these credits, you can purchase any apps or games from the Play Store with a very easy and simple process. Cubic Rewards is a secured app and lets you run any app very fluidly and fast. How to Get free play credit codes with Cubic Reward? First of all, install Cubic Reward from the Google Play Store. You can now browse and download your favourite apps and games. You need to run those apps and games to earn reward points. Earn credits for referring the Cubic Reward app to your friends. Earn bonus points to use the app every day and joining daily events. Redeem the credits to earn free cash or gift cards. Cubic Reward offers you free credits also for Amazon, iTunes, Paypal, Starbucks, Tango and much more. Tap Cash Rewards is a simple and efficient app that earns you credit codes. Similar to the other apps, you need to download free apps and games to earn your points and redeem free gift cards. You can earn credits with Google Play Store as well as Amazon.com, Paypal, Freecharge, Skype and several others. How do Tap Cash Rewards work? Firstly, install the Tap Cash Rewards app from the Play Store. Download the newest games and apps via Tap Cash Rewards. You can now play these free games and run the apps to complete the offer and earn credits. Once you earn enough credits, you can use these credits to redeem gift cards or cash rewards. You can even invite your friends and earn more credits. These are the seven different ways to earn google play credits easily. Hope this list of apps lets you find out how to earn free Google Play Credit in the above-mentioned ways. Earn more and more money! YouTube, which is the most popular website that allows users to watch Online Videos. Most of us are interested in watching videos, movies, tutorials,etc., from YouTube in our everyday life. We come across some interesting videos on YouTube that you wish to download them for watching them even when you are offline. Unfortunately, YouTube doesn’t allow you to download videos and it doesn’t provide you with an option for downloading your desired videos. YouTube has been designed in such a way that, it is just meant for watching the videos online. Similarly, when you are simply watching the posts that are published in your Facebook’s News Feed. You come across some interesting video that makes you watch it many times even after logging out of your account. But, the giant social site doesn’t let you download the videos directly on to your computer so that you can watch them even if you are offline. Don’t Worry! You have landed in the right place where you can find simple methods that are required for downloading and watching YouTube & Facebook videos Online on your computer for free. Follow this guide that gives you quickest techniques to download videos without using any hectic process of software installation. You can download YouTube Videos Online by using websites. Nowadays, many websites are offering this downloading service and it is difficult to select the websites where you can download high digital [HD] quality videos. Here, you can popular websites that helps you to download YouTube Videos on to your computer. The easiest way of downloading YouTube videos with HD quality is just by using online websites. Many websites facilitate you to download YouTube videos, but you will be in a dilemma to choose the best sites for downloading YouTube videos with HD quality. Follow the simple steps to download YouTube videos through best websites with HD quality. Downvids is one of the best tools that lets you download YouTube videos instantly with HD quality. It supports various formats like 480p, 720p and an HD quality of 1080p. You can also download videos from Facebook and it also provides a huge collection of WhatsApp videos through the video library. Step 1: Initially, visit the YouTube website and Check the video that you wish to download. Step 2: Go to the address bar and Copy the URL link of the selected video. Step 3: Now, go to the “downvids.net ” website. Step 4: You can find an empty field where you need to enter the URL of the video. Step 5: Just copy the URL of that video and select video format (e.g: 1080p). Step 6: Click on the ‘Download’ button that is beside the URL field. SaveVid is one of the most popular websites that allows you to download your desired youtube video for free. It provides categories where you can choose any of the fields like categories, Latest downloads, Daily Top 20 and even check out for all time top 50 videos. You can download YouTube videos instantly without any hectic software downloading process. Step 3: Now, go to the “SaveVid.com” website. Step 5: Click on the ‘Download’ button that is beside the URL field. Step 6: After loading, it displays the ‘Download Now’ button. Now, you can save the downloaded video. SaveFrom is the fastest YouTube video downloader that provides the best quality of the videos. It is a very beneficial website that facilitates you to download YouTube Videos Online within less span of time say, few minutes depending upon your net speed. Follow the simple steps given below that guides you to download YouTube videos instantly. SaveFrom supports many other video hosting websites like YouTube, Facebook, Vimeo, Dailymotion and many more. Step 1: Initially, visit the YouTube website and select any video that you wish to download. Step 2: Go to the address bar on the same webpage and Copy the URL link of the selected video. Step 3: Now, go to the “SaveFrom” website. Step 4: Insert the URL link of the YouTube Video and just click on the arrow button. Step 5: The video will be loaded on to SaveFrom site and displays download option. Step 6: Choose the format and quality of the video and click on “Download”. In the above Method 1, you have seen best websites that help you download YouTube Videos by copying the URL link of the particular video that in turn loads the selected video and it will be downloaded on your system. The first method takes little time in order to copy and paste the links of each and every selected video. You can download YouTube videos even faster by using Method 2, nothing but a shortcut method. Here, you need not copy the URL from the address bar and paste it in other YouTube Downloading websites. This is the easiest and fastest way of grabbing the videos online from YouTube on to your PC. Step 1: Visit the YouTube Website. Step 2: Select any Video that you wish to download. Step 4: Add ‘ss’ before the word youtube and simply press enter. Step 5: Within a few seconds, it will be redirected to the other webpage where you can download your desired video easily. Step 6: Choose the format and quality of the video and simply Click on the ‘Download’ button. ClipGrab is one of the most popular YouTube downloaders that is used to download YouTube videos Online in an easier manner. It is absolutely free and open source program that supports Windows, Linux and Mac OS. Here, you can find simple steps for downloading YouTube Videos with HD quality. Initially, visit the website of ClipGrab. Just Click on the Free Download button. Run the file just as soon as you finish the downloading process. Here come installation steps wherein you need to click on the ‘Next’ button to continue or click on the ‘Cancel’ button to exit the setup. Now, Click on Install in order to initiate the installation process. After successfully installing ClipGrab on your computer, click the ‘Finish’ button to exit the setup. Step 3: Select any Video from YouTube. Visit the YouTube website and select any video of your choice. Copy the URL of the video that you would like to download. Paste the URL in the search field provided by ClipGrab Window. You can also select the quality that ranges from 240p to 1080p. To watch the video in HD quality, you can choose 1080p. After selecting the format and quality of the video, Click on the button that reads “Grab this clip!” that means your chosen video can be downloaded. By clicking on that button, you will get a window where you can save the video to any folder in your system. Facebook is one of the giant Social networking sites where you can share images and videos with your friends and dearest ones. You come across a few interesting videos that you wish to save them on to your PC. But, Facebook doesn’t let you download the videos that are shared on the timeline directly on to your system. You no longer face this situation of downloading Facebook videos. Here, you can find two simple methods to download Facebook Videos Online and save them on your PC. There is a number of websites that can be used to download Facebook videos online with HD quality. You can download Facebook videos online just by using the URL link present in the address bar of the webpage that is hosting the video. Here, we are providing you best websites that guide you on how to download Facebook videos online with high digital quality. DownFacebook is the most simple way of downloading Facebook videos online. You can download Facebook video within less span of time with HD quality and you can also save the video to your PC. Step 1: Log on to your Facebook account and open any video that you wish to download. Step 2: Open the Video in a new webpage and copy the Facebook Video URL from the address bar. Step 3: Go to DownFacebook Website. Step 4: Paste the URL/Video link in the empty field and Click Download. Preview button will be displayed on the screen. Step 5: The video will be loaded and now just right click on that video where you will find ‘Save link as’. Click on that option so that the video will be downloaded and saved in your folder on your PC. Facebook Video Downloader is one of the best websites that allows you to download Facebook videos online with HD quality. You can download any Facebook video and save it on to your PC. Step 3: Go to Facebook Video Downloader Website. Step 4: Paste the URL or Video Link and click on the ‘Download’ button. Step 5: Right Click on the video and select ‘Save as link’ option. Now, you can save the video file directly to your PC. You can download Facebook videos, even more, faster by using Method 2 which is the easiest and instance methods. Here, you need not copy the URL from the address bar and paste it in other any other Facebook Videos Downloading websites. This is the fastest way of grabbing the videos online from Facebook and save them on to your PC. Step 1: Choose any Video from Facebook and go to the address bar. Step 3: Now, Play the video again. Meanwhile, right click on the video and select “SaveAs” button. Step 4: Name the downloaded file and save it to any folder on your PC. The above two methods are the most simple and fastest methods where you can easily download Facebook videos online with HD quality. Some Websites supports both Facebook and YouTube Videos to be downloaded online with HD quality. Here. we provide you with the best websites that can be used to download both Facebook and YouTube on a single website. Hope this tutorial guides you “How to download YouTube Videos And Facebook Videos Online with HD quality.” Download your Favourite Videos from YouTube and Facebook by following the above methods and Watch them on your PC. We have provided maximum information regarding downloading of youtube and facebook videos online and offline. If you know any other methods other than these let us know in your comments. Enjoy!!! BSNL is one of the largest broadband providers in India. If you own BSNL Broadband and Wi-Fi modem, then you might be interested to know how to change BSNL broadband Wi-Fi password. At first, it saves your modem from overheating & power usage if you’re not using a wireless connection, then it avoids any unauthorized users from your account. Someone can use your broadband if it is in the Enabled state. You have to disable it or restrict it using MAC filter. Connect to the Google Free Wi-Fi here. Connect to the Facebook Free Wi-Fi here. 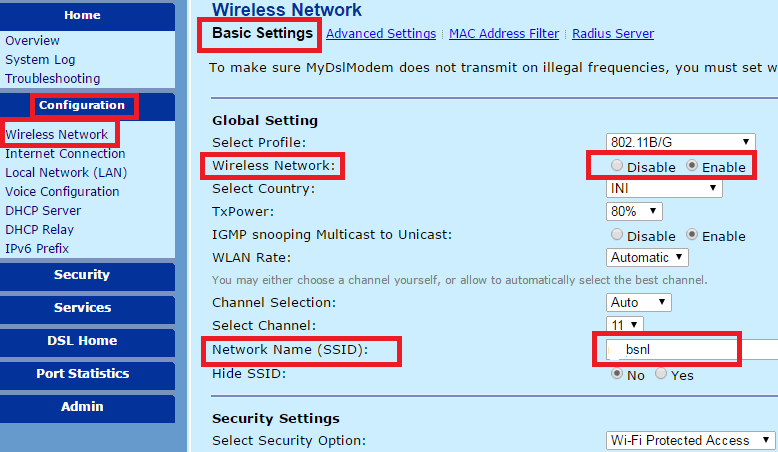 We hope this article would help you easily to change your BSNL broadband Wi-Fi router password. If you find any problem while changing the password in your BSNL Wi-Fi modem, let us know in the comments section below as we can help you out. Sometimes you get frustrated with yourself because you’ve deleted some files or some content, being freckle minded. Then you might realise the requirement of a file and you will search for an option to get back those files or part of them. 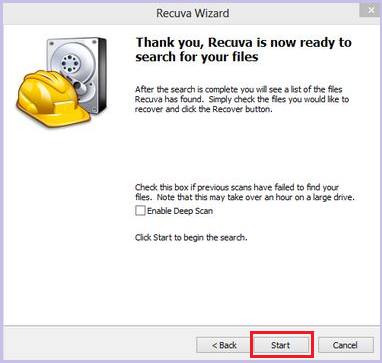 Today, I’ll show you a trick by which you can recover your permanently deleted file without using any software. 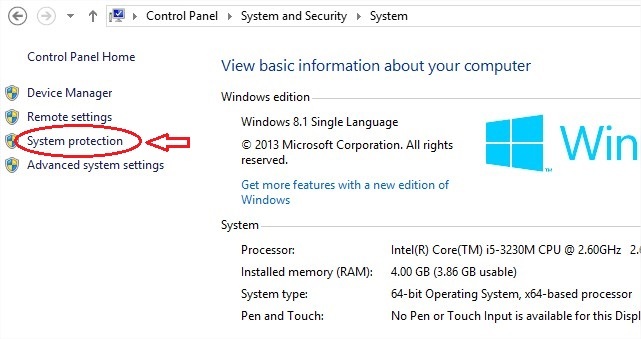 This trick will work on Windows 7, Windows 8 as well as Vista. When a file is deleted from your computer, its content doesn’t immediately get destroyed. Means, the only reference to file data in File Allocation Table or Master File Table is marked as deleted. It means that you might be able to recover deleted files or make it visible for the file system again. Got a good response that this article helped many people to recover their important data after deletion. 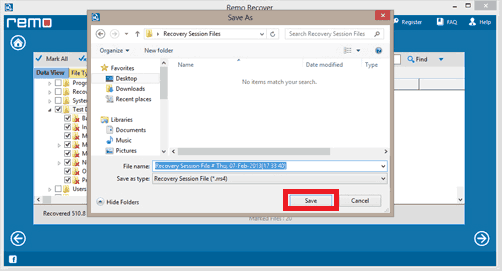 How to Recover Deleted File without using any Software? Go to the folder “My LIFE” and right click on it. 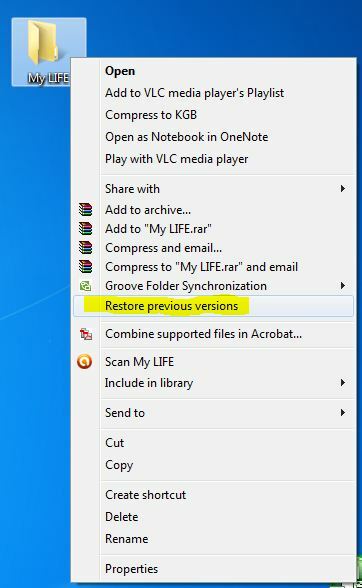 If you don’t see “Restore Previous Versions” by Right Clicking, Go to Control Panel to turn on the System Protection. 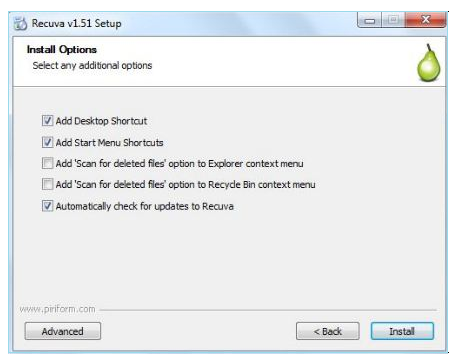 Click on “Restore system settings and previous versions of files” and Click on “OK”. 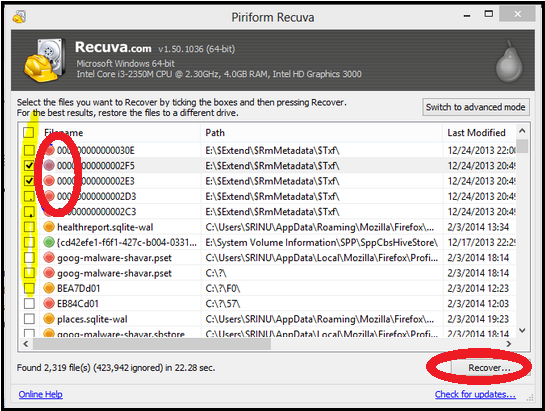 That’s all, now you will see an option to recover the particular file. 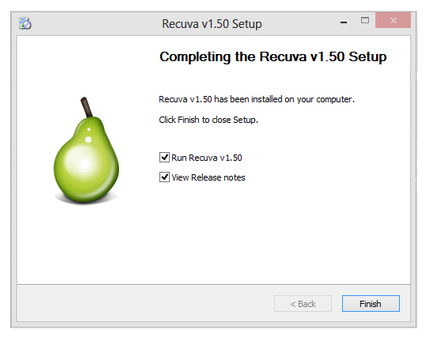 As soon as the file gets downloaded, just double click on that file and hold on for a few seconds till you get a window as Recuva v1.50 Setup. 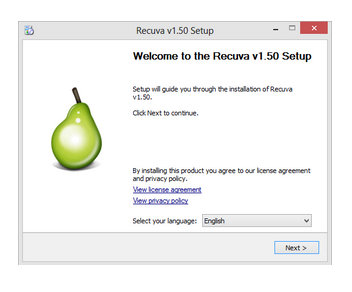 Then, Click on ‘Install’ to get Recuva on your computer. You can choose the drive where you have deleted the file. Select a right option and click Next. But, if you don’t remember the specific location of the deleted file, then just mark on the option “I’m not sure”. Click “Next” for the further recovery process. Just have a glance at the below window where you will notify coloured icons like red, green and yellow that are present in front of the file names. 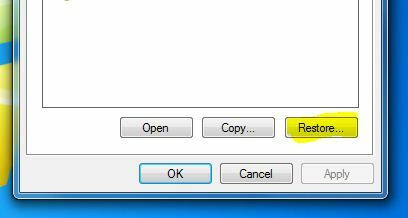 As Green refers to successful file recovery, you need to make a tick mark in the check box present in front of the file name that has the green colour and then clicks on Recover. 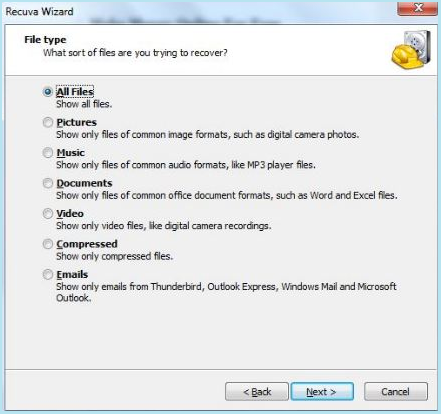 Pop-up window displays on the screen that will ask you to choose a specific location for saving the recovered file. 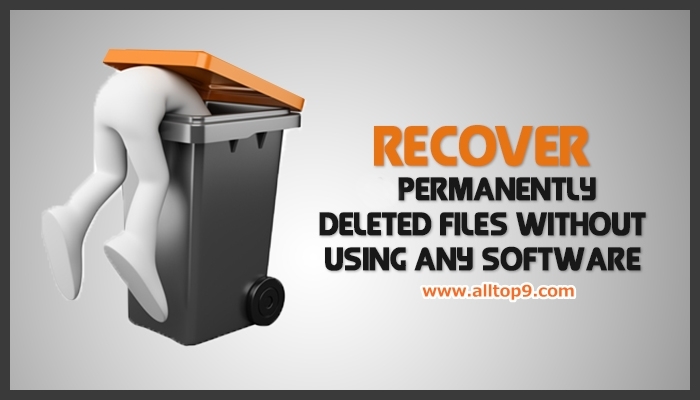 It recovers permanently deleted files, files originally deleted using Shift+Delete and DOS prompt. It allows you to find and recover recoverable deleted files from NTFS and FAT-formatted volumes, regardless of their type – you can recover pictures, songs, movies or documents. Download Panda Recovery from here. It supports FAT12, FAT16, FAT32 and NTFS undeletion.The size is about 198 kB, and easily portable. 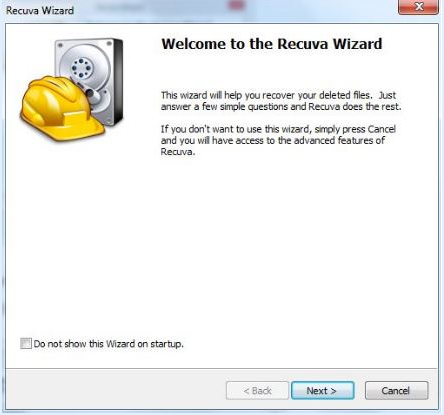 Download TOKIWA DataRecovery from here. Download Puran File Recovery from here. It is one of the best software that helps you to get back your deleted files. It supports major versions of Windows Operating system that includes Windows 8.1, 8, 7, XP, Vista and Servers 2012, 2003, 2008. It is free software, but it is limited up to 2 GB and if you want to recover a number of files, then you need to upgrade your membership. Download EaseUS Data Recovery Wizard from here. Windows 8 Data Recovery Software can be very much useful for successful restoration of permanently deleted data on your Windows 8 device. This software is capable of retrieving all types of deleted files that include applications, documents, media files, archive files, etc. 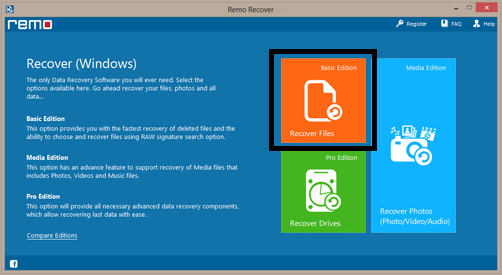 It can recover the deleted files not only on Windows 8 but also supports Windows XP, Vista, 7 or any other OS. 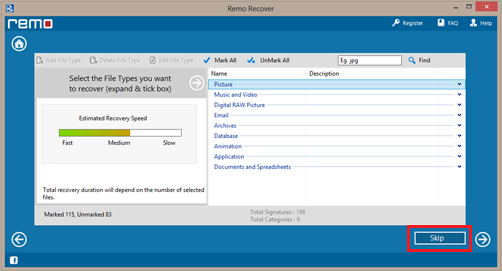 Using this efficient software, you can also restore data from flash cards or USB hard drives. Step 7: You can see all the data either in “File Type View” or “Data View”. 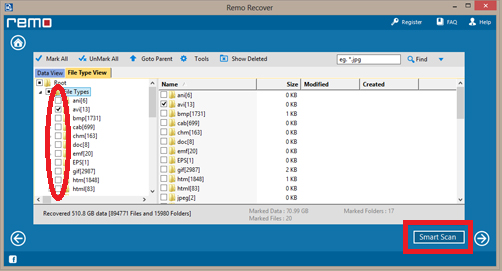 Now, you can select any file/files that need to be restored on your system. 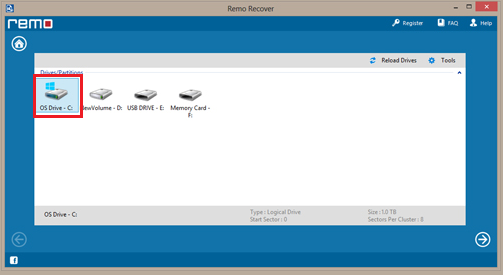 Step 8: Save the recovery session in order to avoid re-scanning of the drive. 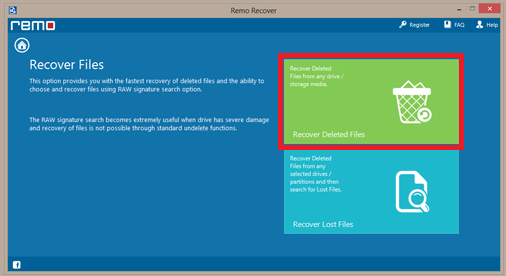 Here is a way to recover the Shift+Deleted files on your Windows 10 computer, with this method. See how. If you have any queries in the above methods, let us know the below comment section. We will get back to you to solve all your queries as soon as possible. If you know any other methods regarding this issue, write them in your comments and we will include in our article in the next update after verifying your method. 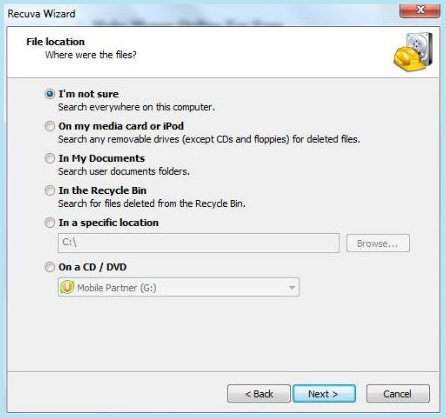 Which method do you use to recover permanently deleted files from Windows 7,8, Vista,10?